This is an In Person signed Colour 12" x 8" photo of the American professional golfer. 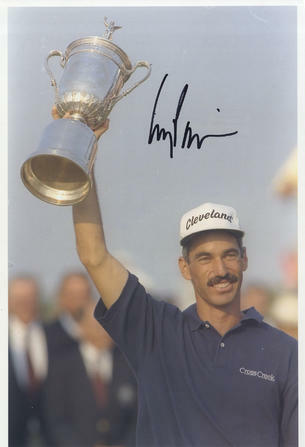 Corey Allen Pavin (born November 16, 1959) is an American professional golfer who has played on the PGA Tour and the Champions Tour. He spent over 150 weeks in the top-10 of the Official World Golf Rankings between 1986 and 1997.